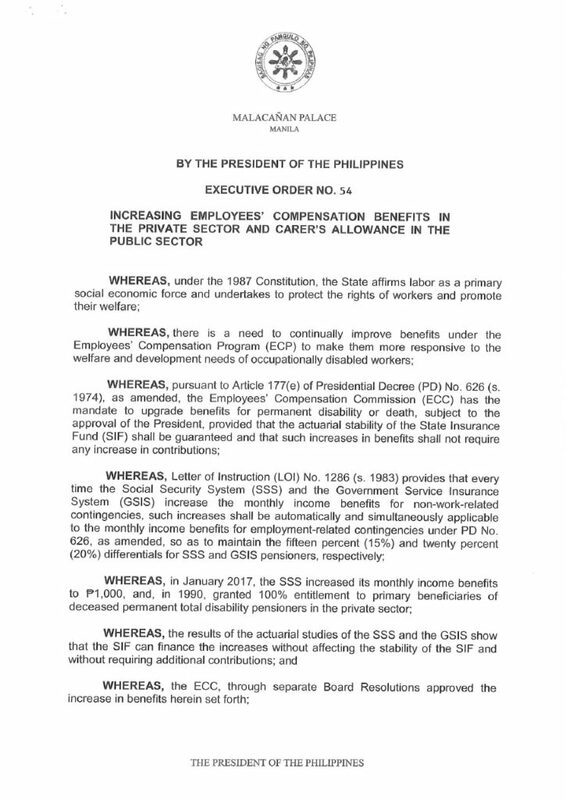 President Rodrigo Duterte recently signed Executive Order 54 increasing employees’ benefits in the private sector and carers’ allowance in the public sector. 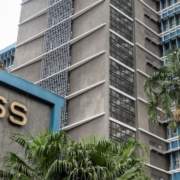 The said EO mandated a Php1,150 across-the-board increase in the employees’ compensation disability pension from SSS of all EC permanent disability pensioners and qualified beneficiaries. 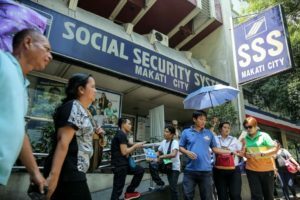 The increase in the SSS benefit is effective from January 2017. 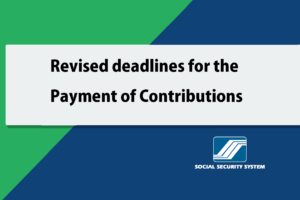 EO 54 instructs SSS to continue implementing the minimum amount of at least Php2,000 for the monthly disability and survivorship pension. 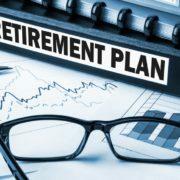 Meanwhile, the amount of carer’s allowance granted to EC permanent disability pensioners in the public and private sector is increased from Php575 to Php1,000 a month. 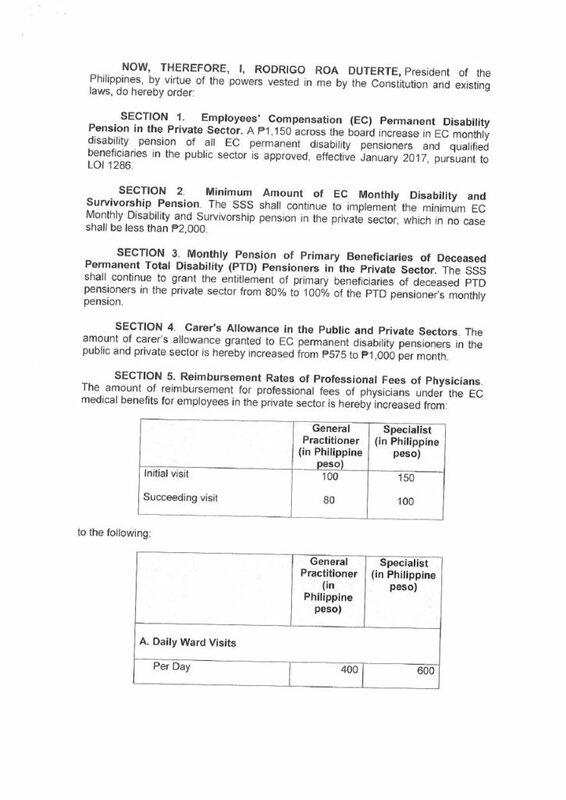 Aside from the pension and allowance increase, the reimbursement rates for physicians will also increase under EO 54. 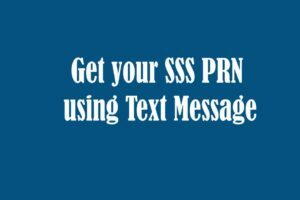 Previously, the reimbursement rate for a general practitioner is only Php100 and Php150 for a specialist during the initial visit. 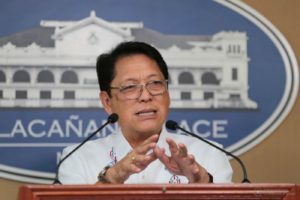 It has been significantly increased to Php400 for GPs and Php600 for specialists on a Daily Ward Visit, the same for out-patient consultation. 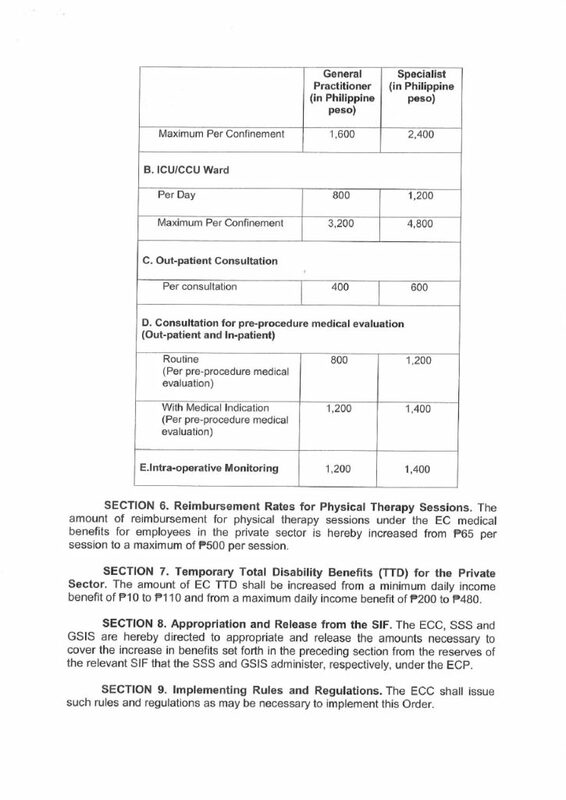 Physical therapy sessions rate has been increased from Php65 to Php500 per session. 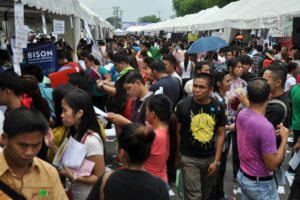 The temporary total disability benefits will also rise from a minimum daily income benefit of Php10 to Php110 and from a maximum daily income of Php200 to 480. 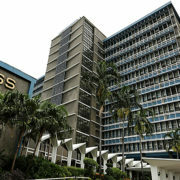 The funds will be released under the Employment Compensation Commission, the SSS and the Government Insurance System (GSIS). 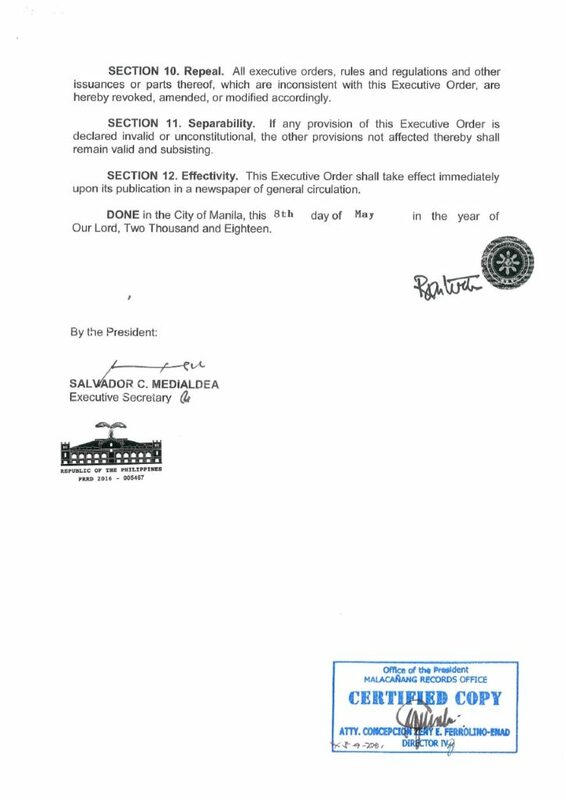 Executive Order 54 was signed last May 8, but was distributed to the media on May 10. 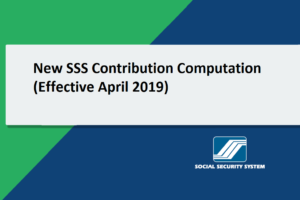 It also reiterated that the actuarial studies state that SSS and GSIS can finance the said increase without affecting the stability of the pension funds and without the need for additional contributions.